like they know they were born to dance. 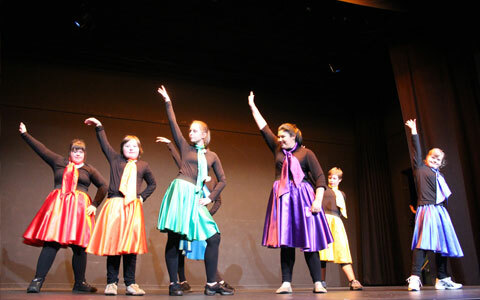 A Celebration of Dance 2012. Our two Orakei classes joined forces to rehearse and rehash some favourite choreographies as well as producing new and exciting material. In Papakura, our afternoon class rehearsed their favourite choreographies too and the result was a professional and polished performance. Not limiting the experience of the dance4everyone family we invited some of our adult recreational classes to join in the fun as well. 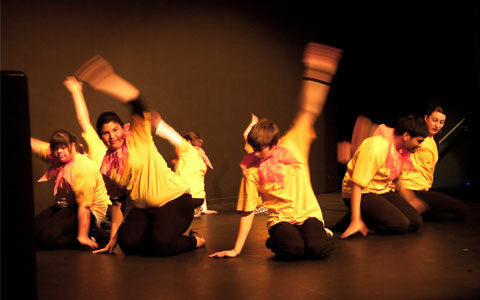 Students from Eastgate Trust in Pakuranga and Ranfurly Care in Epsom, strutted their stuff and joined us for their first experience with dance4everyone on stage performing in front of a capacity audience. We had everything from an opening ensemble number that all students rehearsed and participated in. None of our students had the opportunity to rehearse this item together until the day, demonstrating a professionalism that made the dance4everyone team proud. 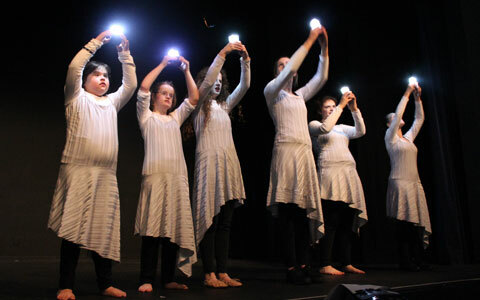 The rest of the first half was full of creative, colourful and inspiring performances – a dance about daffodils; a Whitney Houston tribute; a fusion of ballet and hip hop; a beautiful improvisation and many more. The second half of the show had a distinctive Broadway flavour inspired from Allie and Rebecca’s trip to New York. Our students demonstrated an array of characters dabbling in 42nd Street; discovering their luck in Chim Chim Cheree and Wouldn’t it be Loverly; and demonstrating style and pizzazz in One from a Chorus Line. Allie and her tapping friends even wowed us with their outstanding tap dancing abilities. 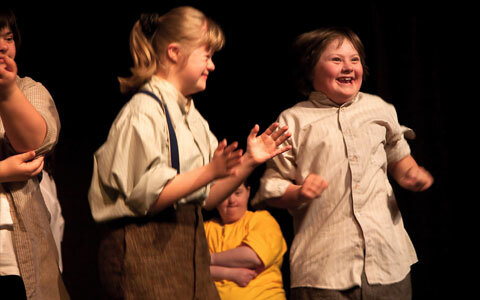 A final ensemble number brought the fabulous students back to the stage to receive the accolades they so deserved. to create such a wonderful show. After the success of the first Celebration of Dance 2009 we had high expectations and standards of our students and they delivered a hundred fold. They negotiated a rather full backstage area, some crazy costumes and demonstrated professional backstage etiquette for our extraordinary volunteers. From all different backgrounds, our volunteers did a fantastic job of assisting the students with costumes, calming backstage nerves, providing technical abilities and keeping Allie, Rebecca and Sam fed, watered and in control. It is astounding the level of support we receive from people not always familiar with our unique situation. dance4everyone cannot begin to express how grateful we are for their willingness and support and we hope that they enjoyed the experience as much as we and our students did. Finally we have to acknowledge family/caregivers/friends, schools, everyone who is a part of the extended dance4everyone family. 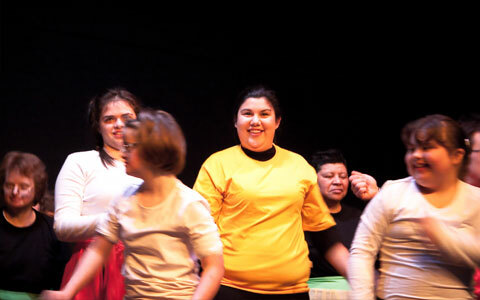 Without your support, these wonderful performances could not go ahead and provide the unique and rewarding experiences to the students. We look forward to the next Celebration of Dance in the future and are determined to see it even bigger, brighter and better than ever before!